McDermott International Inc., in its recent announcement has unveiled that it has been awarded multiple technology contracts by PT Chandra Asri Perkasa (CAP2) a subsidiary business of PT Chandra Asri Petrochemical Tbk (CAP). Reportedly, the contracts are expected to provide process technology for the company’s new petrochemical complex in Indonesia. For the record, McDermott’s room for work comprises licensing & fundamental engineering packages for Lummus Technology’s butadiene extraction technology and olefins technology that includes SRT (Short Residence Time) ethylene heater design & critical supply. According to the reports, the steam cracker is projected to produce 600 kta of propylene and 1100 kta of ethylene using the Lummus Technology’s state-of-art SRT VII cracking heaters. In addition, the petrochemical complex is also expected to produce over 175 kta of butadiene using the industry leading Lummus Technology/BASF butadiene extraction technology. For those uninitiated, McDermott’s Lummus Technology is an industry leading licensor of refining gasification, proprietary petrochemicals, and gas processing technologies. With a heritage of technology development of over 10 decades, embracing over 3500 patents & patent applications, Lummus Technology offers one of the most robust technology portfolios to the chemical & hydrocarbon processing industry. M. McCarthy, the Executive Vice President, Lummus Technology, apparently revealed in a company statement that the firm indeed shares a robust relationship with Chandra Asri that dates back to more than a two and a half decades. McCarthy further claims that the company has licensed several technologies for CAP’s first complex and is now looking forward to working with its second complex. 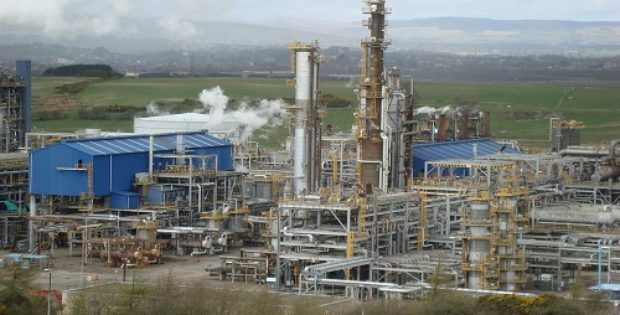 If reports are to be believed, PT Chandra Asri Perkasa’s new complex – which will join its parent company’s existing complex at Ciwandan, Cilegon – comes in the wake of the company’s mission to boost local petrochemical production that will help meet the rising domestic demand in Indonesia.